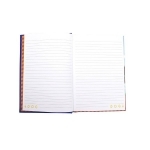 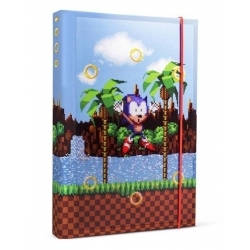 This A5 Sonic the Hedgehog notebook is perfect for lists, notes and game plans! The lenticular design features gameplay imagery of Sonic collecting 8 golden rings, which changes in design as the notebook is moved in different angles. It benefits from a hardback cover with lenticular design,soil graphic design on the first inside pages, 240 ruled 80gsm white pages with corner golden rings detail, a red page marker ribbon and red elastic band.